Ash and Sycamore Lodges are situated at The Lon, a family run hill farm, just four miles from the small market town of Rhayader. 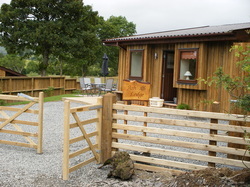 Both Lodges have been sustainably built using locally sourced timber. Sleeping six people in each Lodge, they offer luxury accommodation within the relaxing and beautiful countryside of Mid Wales. 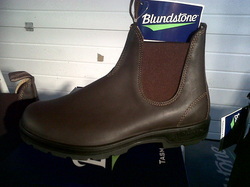 We are a Footwear Retailer based near Llandrindod Wells in the heart of Wales.Supplying Mens Leather Dealer Boots, Steel toe cap Safety Boots, Rigger Boots, Children,s dealer boots, Ladies and children's long leather waterproof boots, as well as Waterproof Clothing.